What do you get when you combine one of Italy's most irreverent fashion houses with Sephora and put the creative direction in the hands of a designer named "fashion's last rebel" by The New York Times? An impossibly covetable beauty collection that toes the line between makeup and luxe accessories and has some of the most Instagrammable products to grace your vanity. 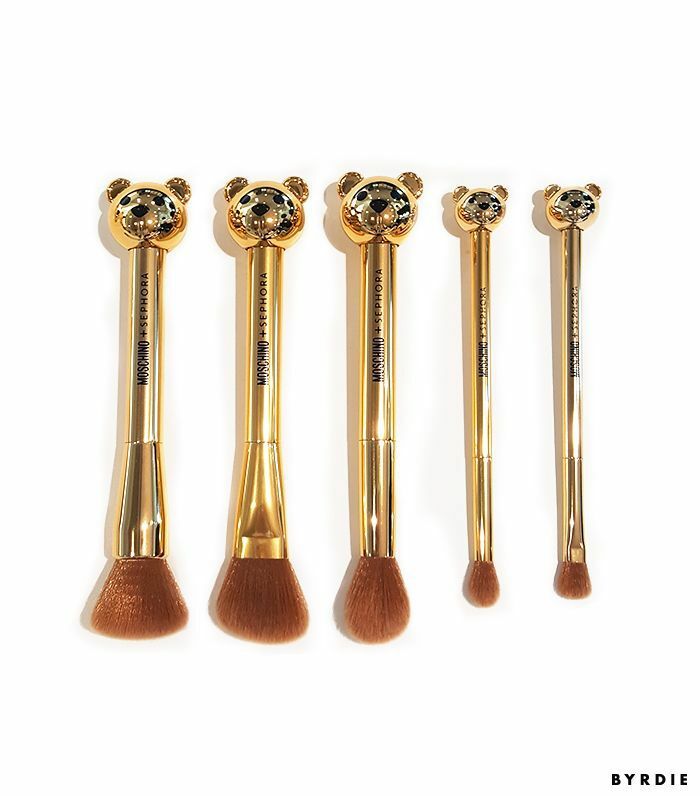 The Moschino x Sephora Collection, hitting stores in August, channels the fashion label's signature playfulness with its lineup of gilded beauty products. 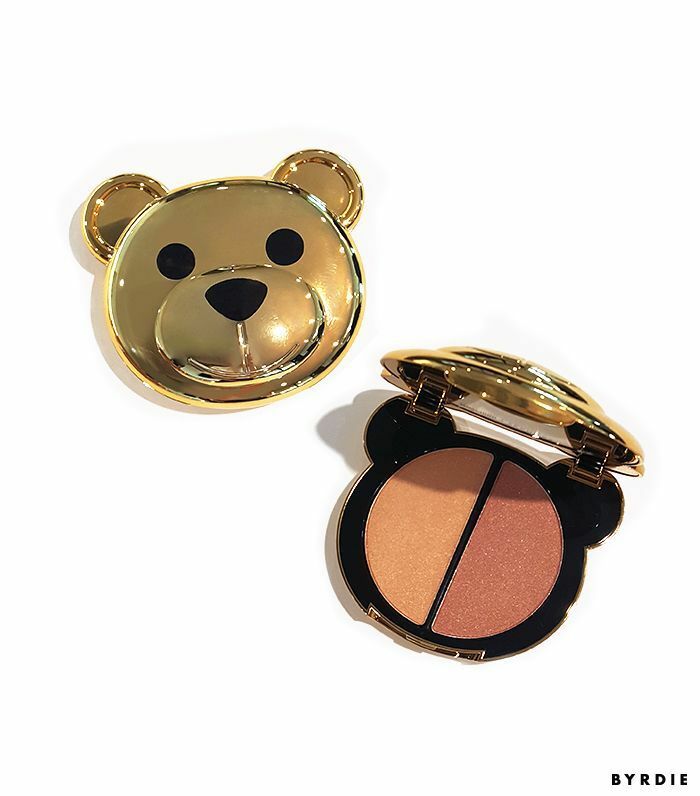 “When Sephora reached out to do this, we thought of course it needs to be around our successful fragrance and icon mascot, Toy," Moschino creative director Jeremy Scott explained when we caught up with him at the line's preview in L.A. "Not only is he such a cute little bear, he worked perfectly to translate into these compacts, the packaging. Moschino’s first foray into makeup only seemed logical going into our first foray into fragrance under my tutelage." I wanted to have a little something for all my friends and all the gamut of skin colors and ranges and everything, so I love that that was really achieved. 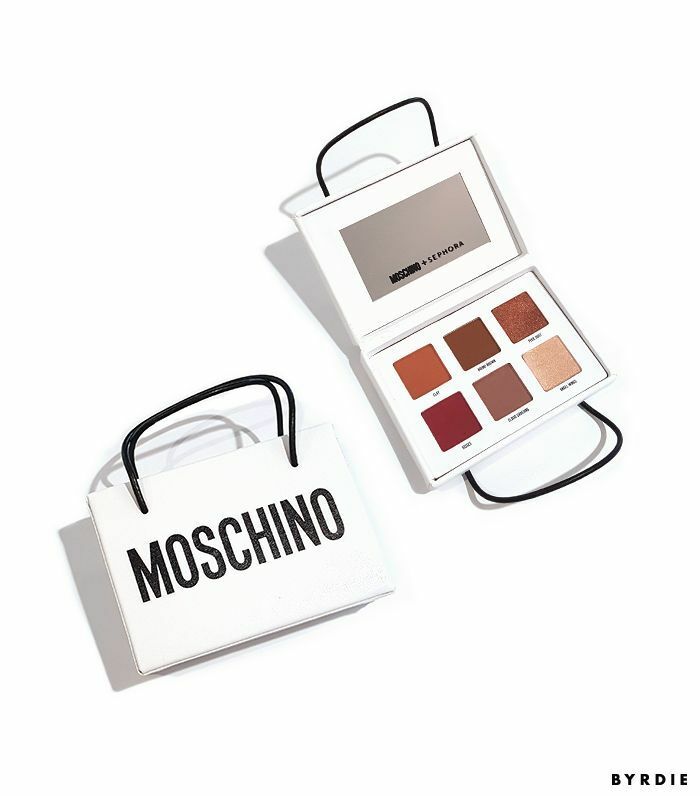 While the new line certainly evokes the boldness of the Moschino brand, Scott emphasizes that it offers something for everyone. "There's stuff for all my kinds of friends and all different kinds of skin tones and also expressions—some people who are a little softer and don't have a bold color and are like, I want some of these highlighters and nudes, or then there’s people who are like I want a bold orange," he said. "I wanted to have a little something for all my friends and all the gamut of skin colors and ranges and everything." 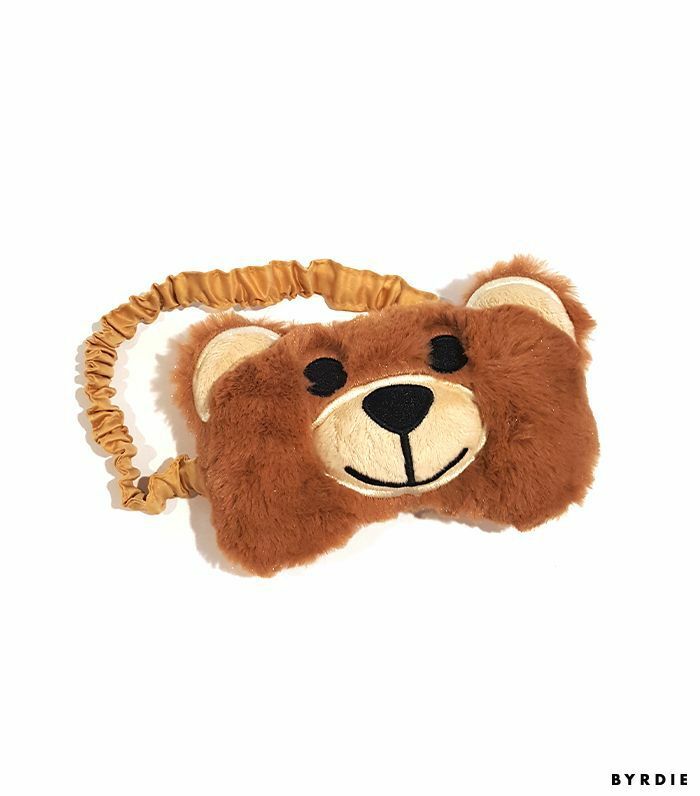 Though it's difficult to pick a favorite from the collection, Scott admits that one of the pieces he's most proud of is the Bear Lipgloss Chain ($26). "I always want to make things that I'm designing—in any capacity—things that aren't disposable," he explained. "And we live in a world that already has so much refuse, frankly, so I want to make things people want to keep forever. So from the packaging to the product itself. And I love that the bear necklace can continue on—you wear it and keep having fun, and you have a little place for your lipgloss." Head below to see the collection. Stay tuned for when I try out the new collection.